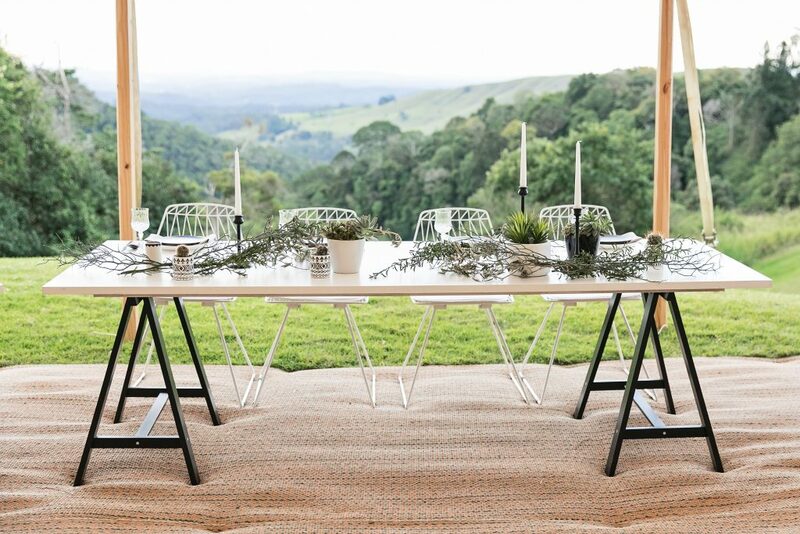 Showcasing the beauty in black and white, layered with earthy hues and enhanced by the natural landscape. 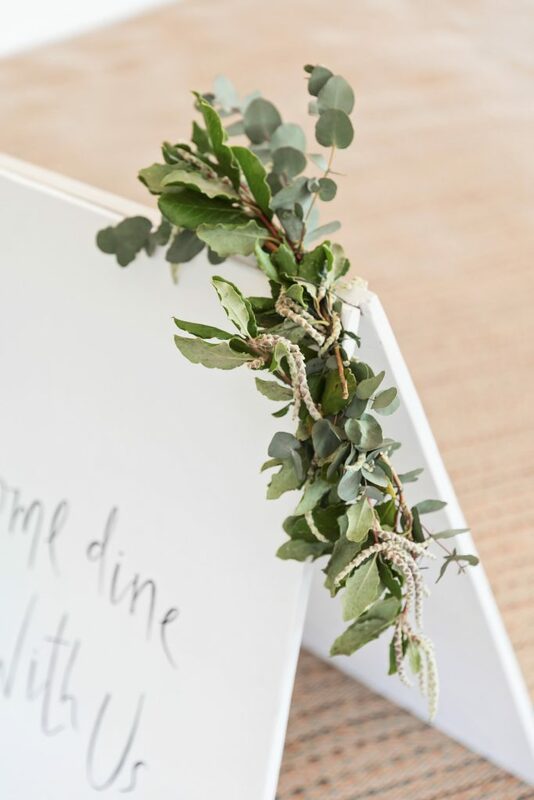 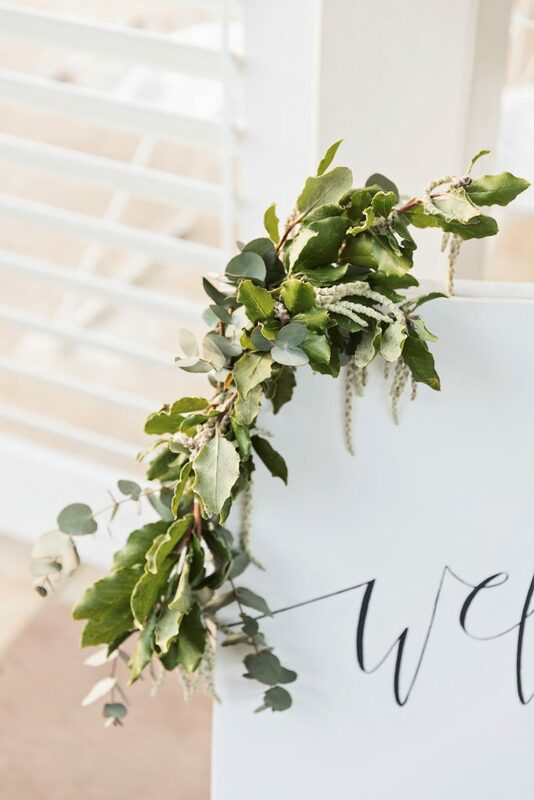 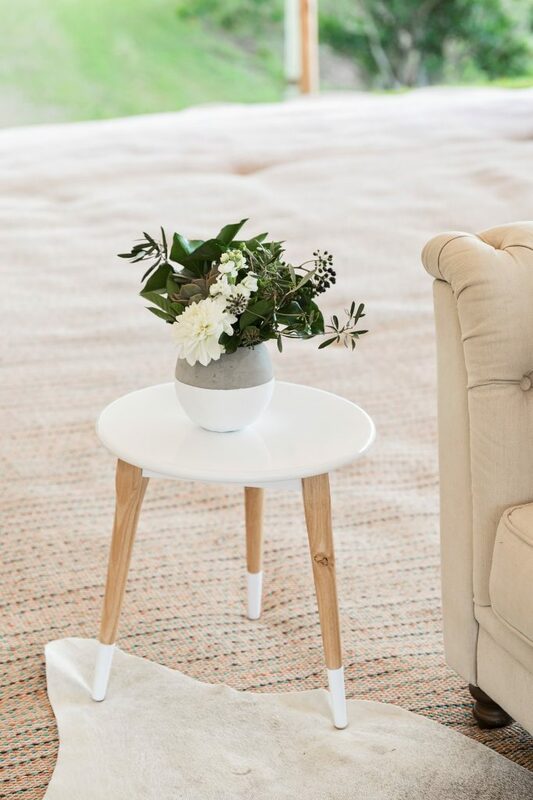 Colour palette: A base palette of Bright whites, Stone Greys & Neutral Tones, Teamed with shades of Deep Black & Blue with Organic Foliage and Succulents. 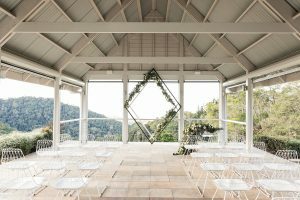 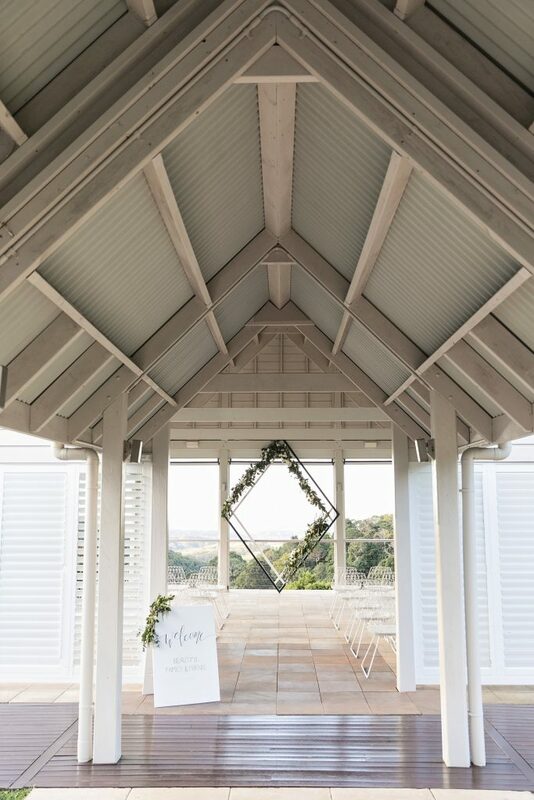 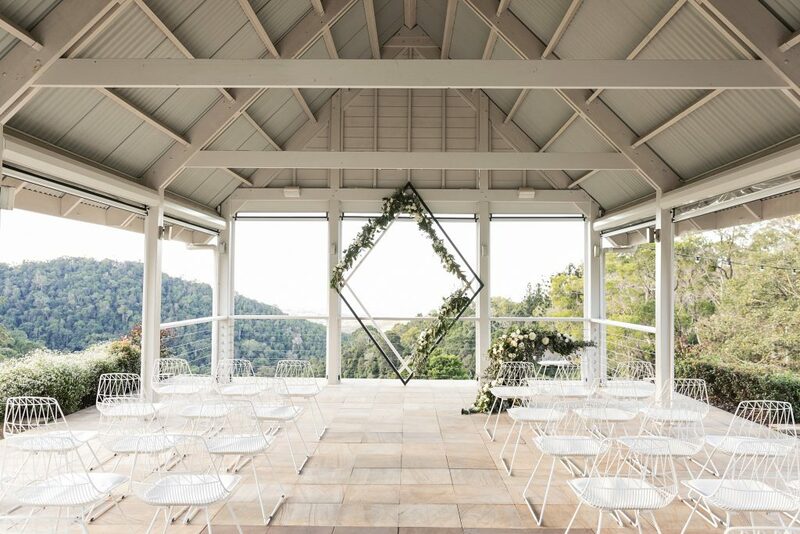 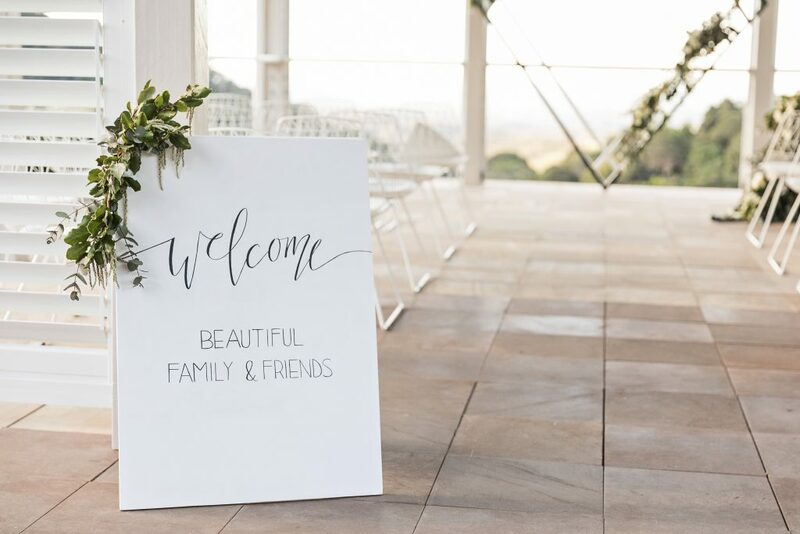 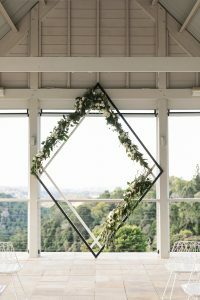 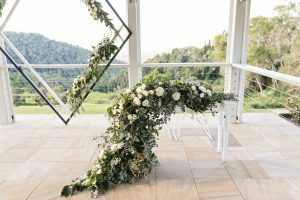 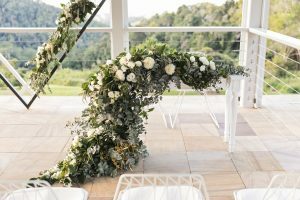 The concept behind the ceremony was to create a white on white oasis, featuring our modern diamond backdrop that stands out but still allows the beauty of the valley to shine through. 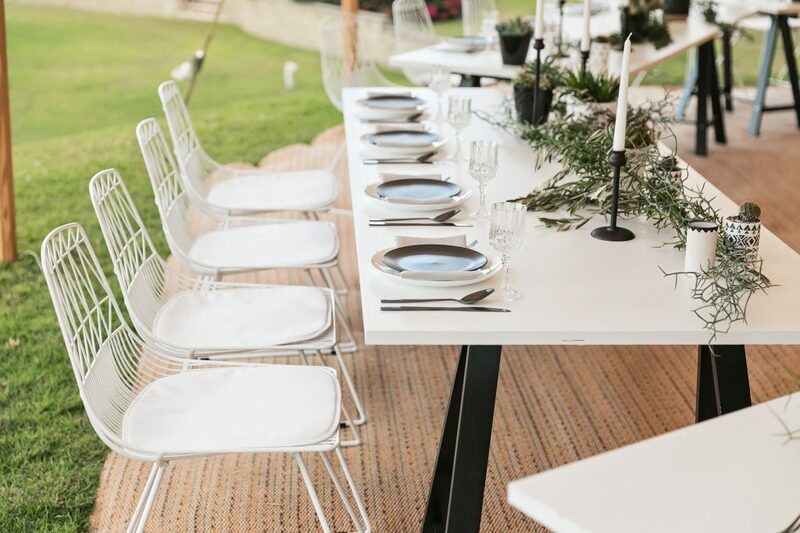 We kept this setting clean and contemporary with white wire chairs lining either side of the aisle and a simple, sleek white registry setting focusing on the florals cascading down the table and spilling out onto the floor. 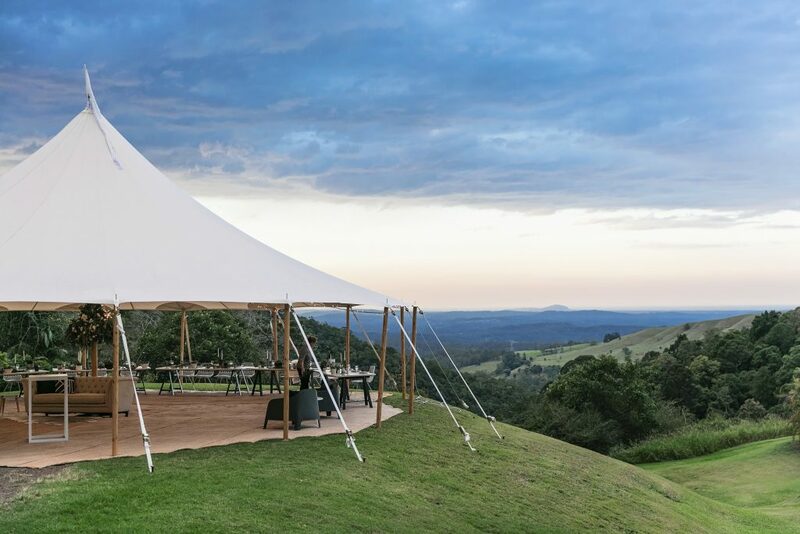 A large tent sitting on the edge of the valley showcases a contemporary dining experience! 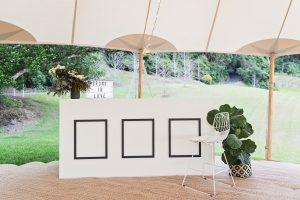 Featuring white timber tables with black legs placed in a half hexagon shape creating a complete geometric & daring feel. 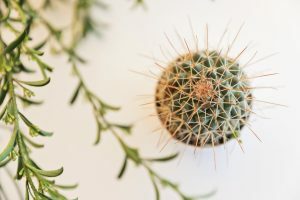 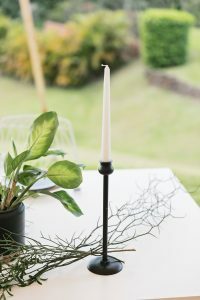 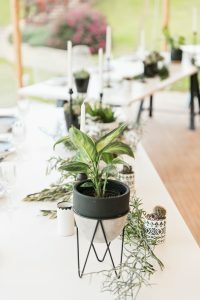 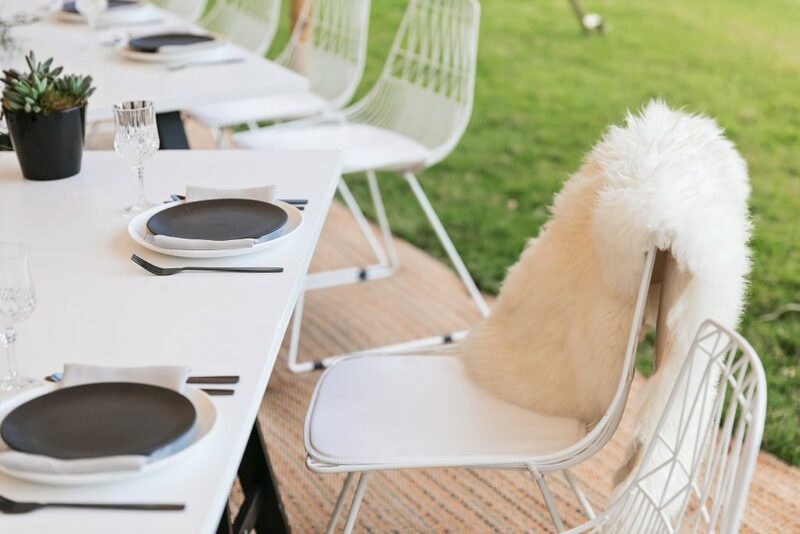 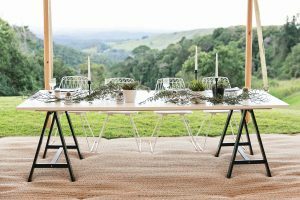 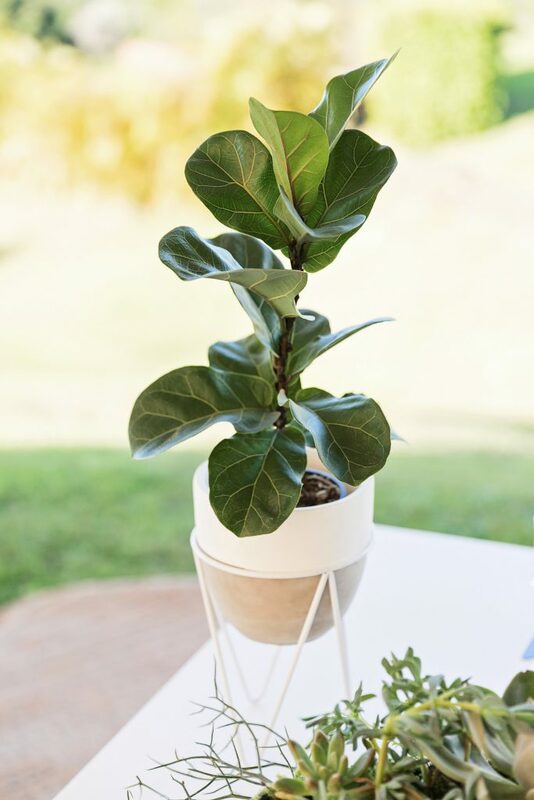 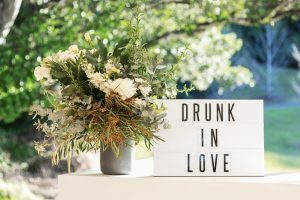 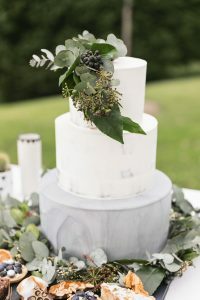 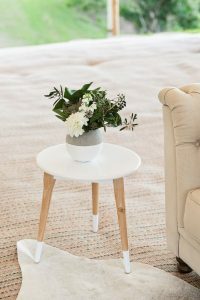 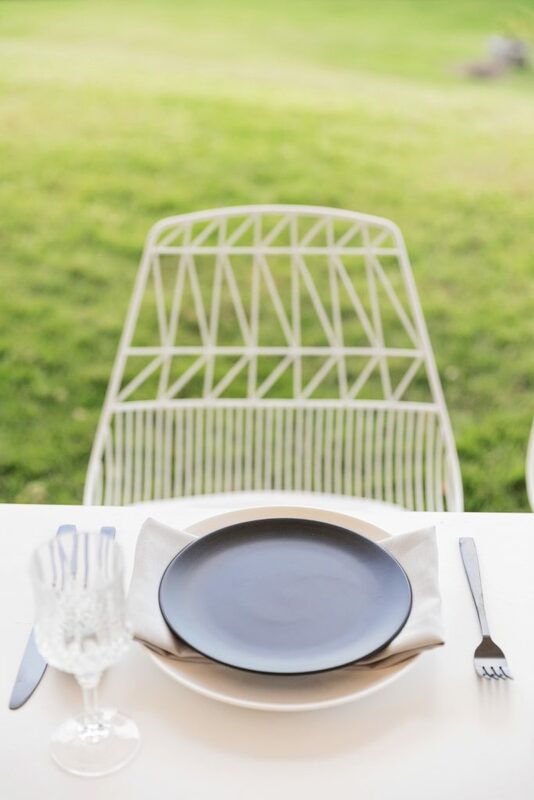 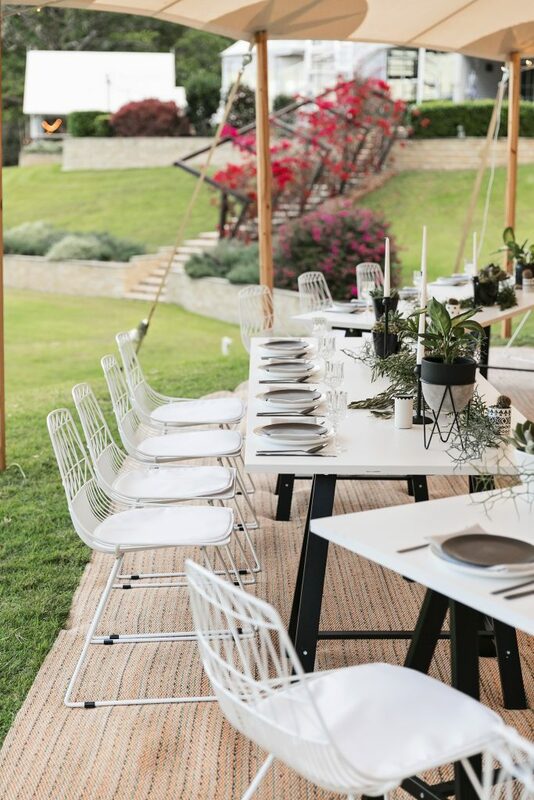 The tables were filled with black and white plates, matte black cutlery, stone grey napkins, crystal cut wine glasses, black candlesticks, succulents and assorted cacti in black, white & concrete pots with desert-inspired greenery. 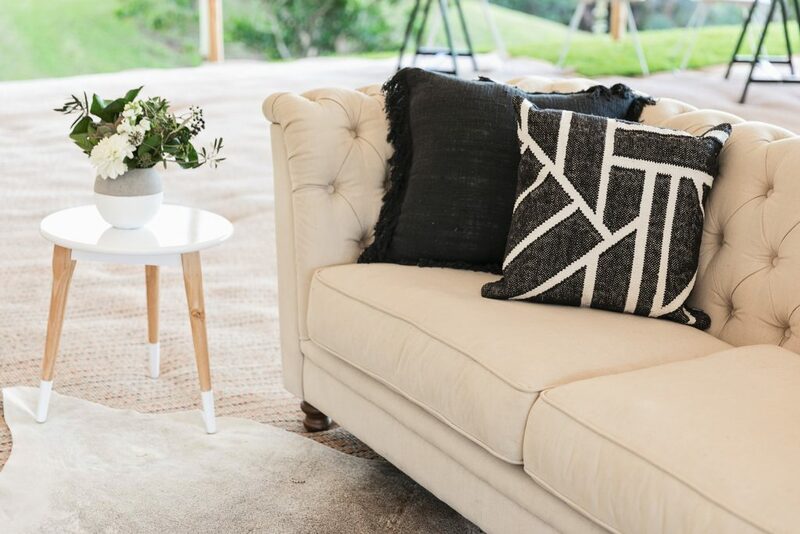 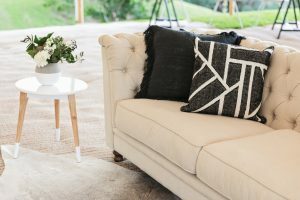 A cool and contemporary lounge setting was completed with a neutral toned linen chesterfield, cows hide rug, white side table and beautiful black and white feature cushions. 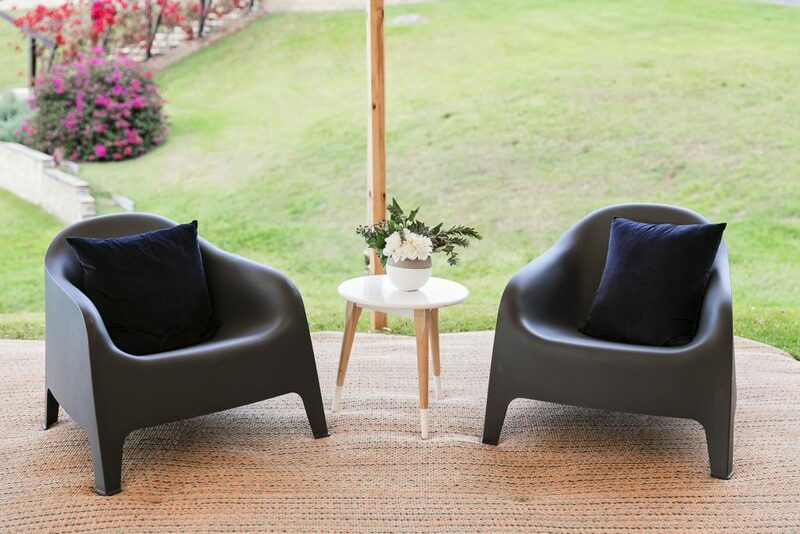 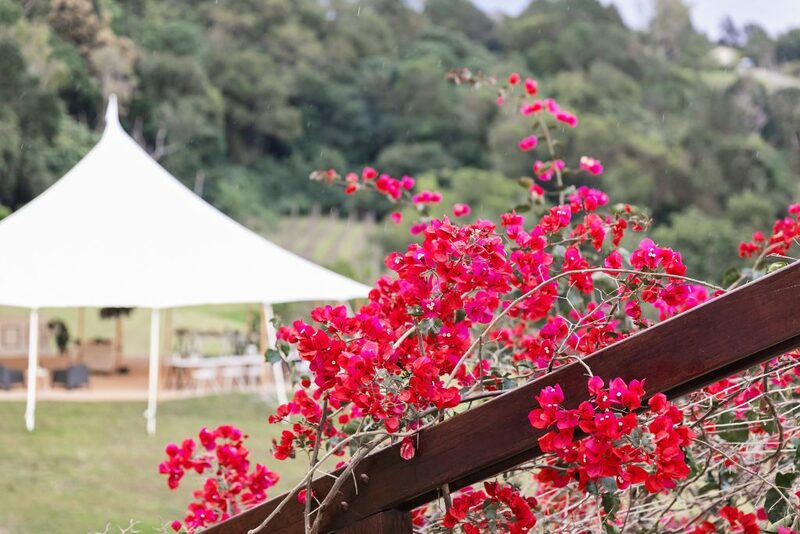 A low-set floral installation hung from the centre of the tent framing the lounge space and completing this look. 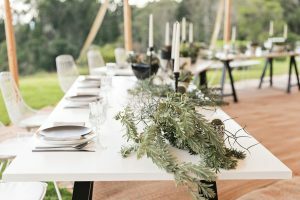 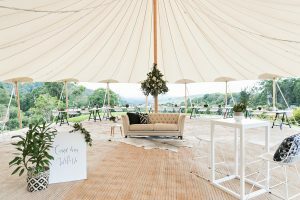 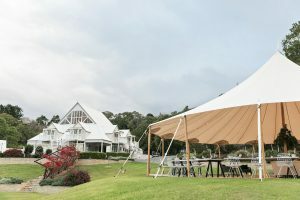 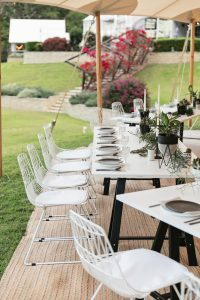 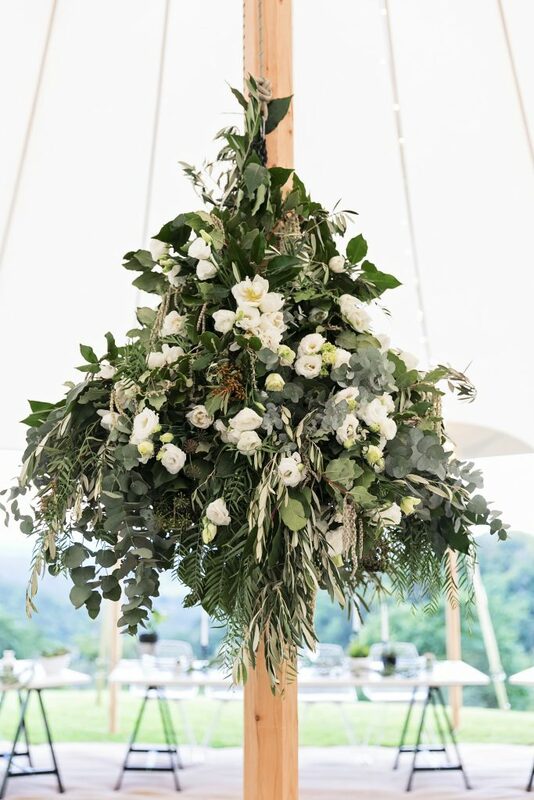 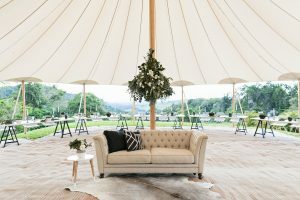 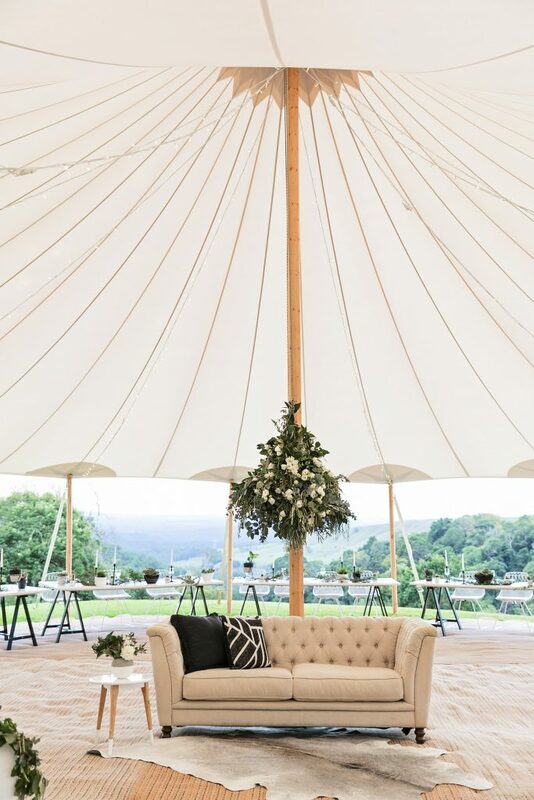 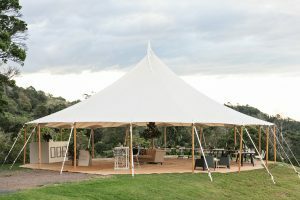 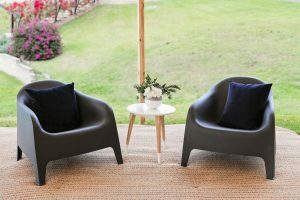 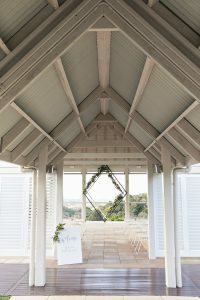 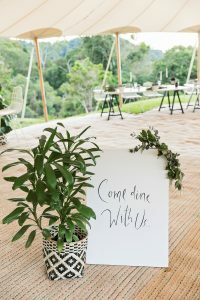 To showcase the diversity and size of the tent, we created a bar and cocktail space using a sleek white and charcoal bar, a white square high bar teamed with white wire high bar chairs, charcoal bucket seats with side tables and finished off with fiddleleaf plants and florals. 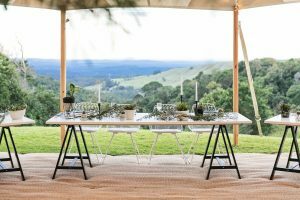 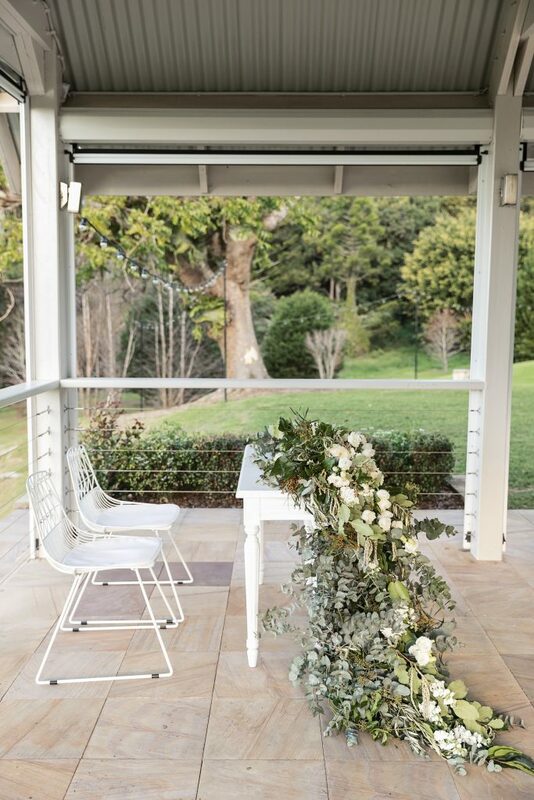 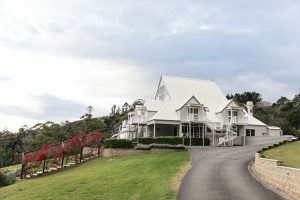 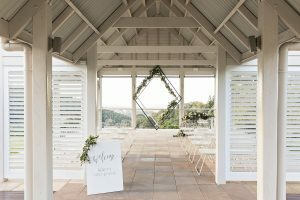 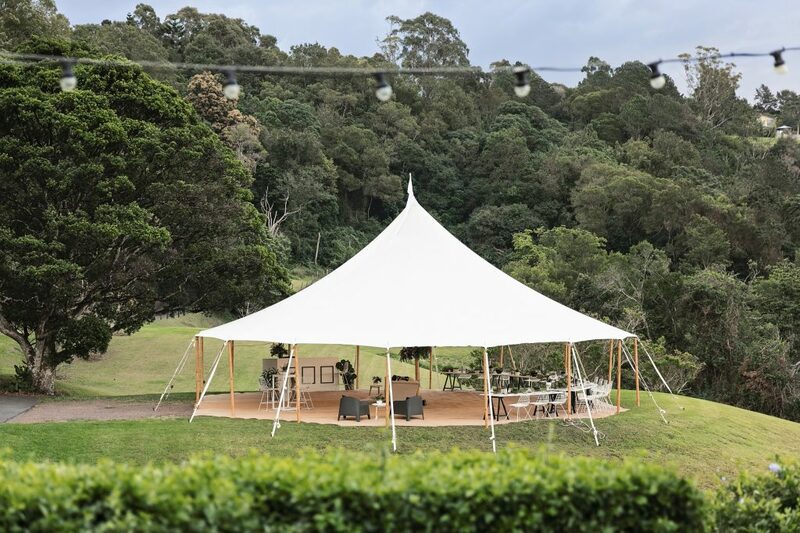 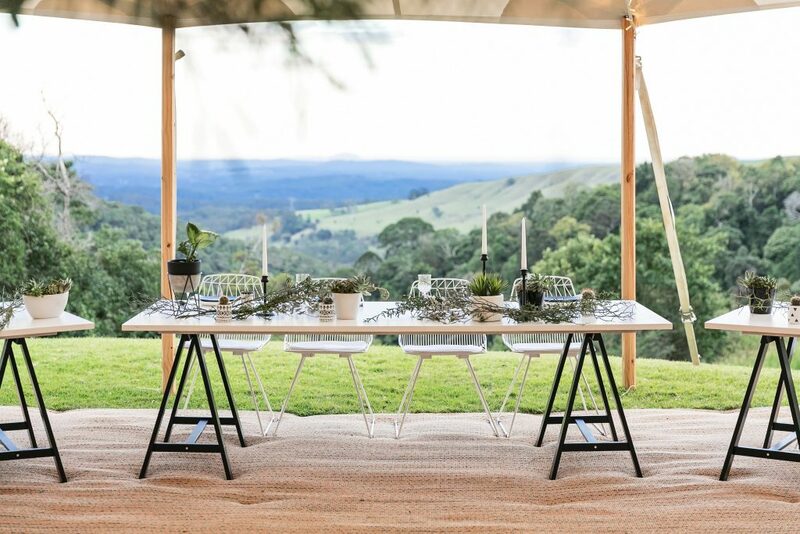 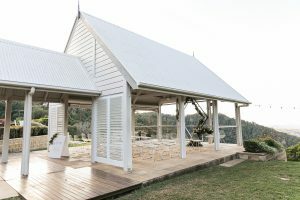 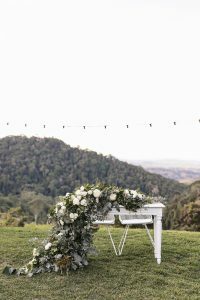 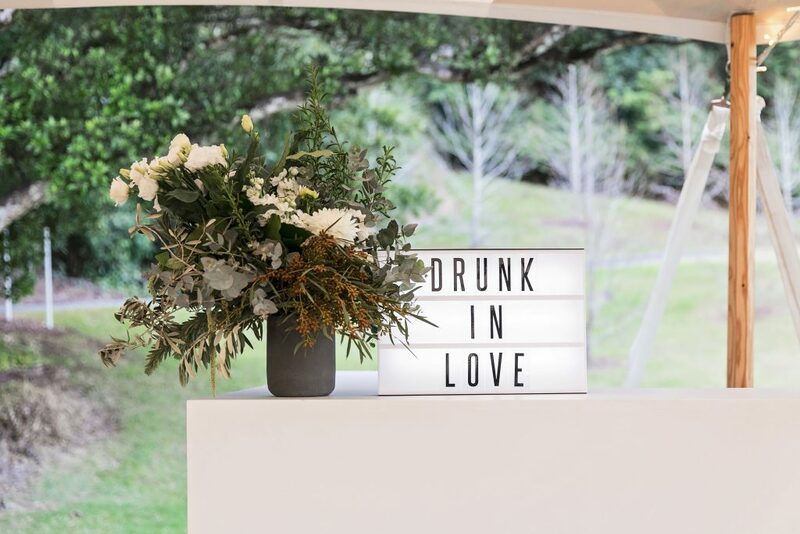 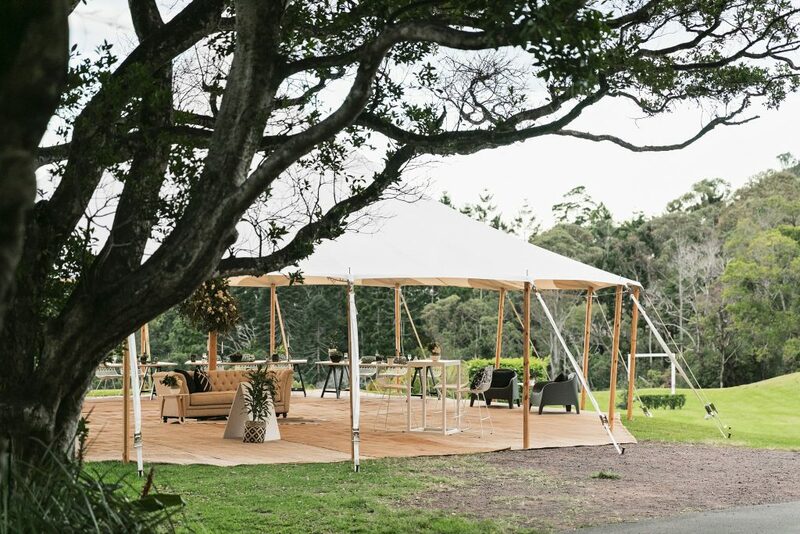 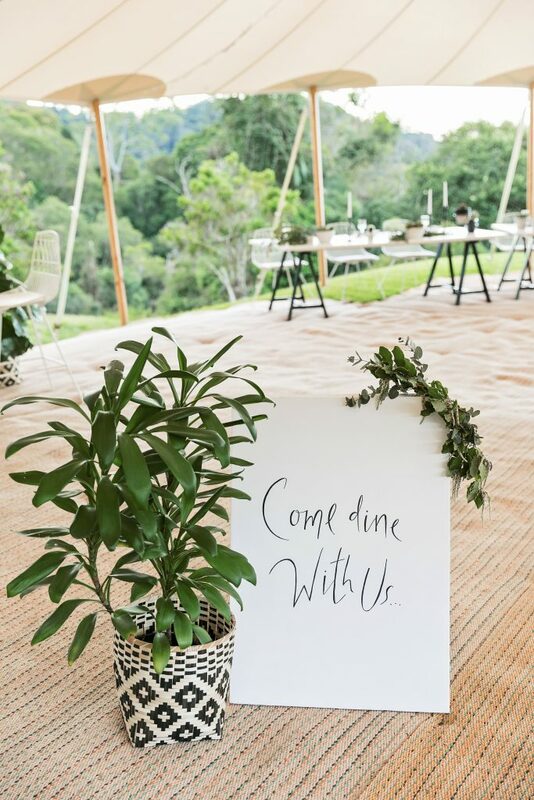 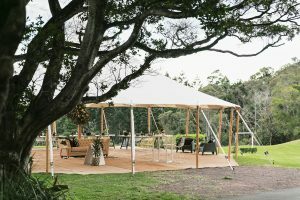 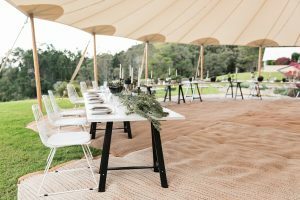 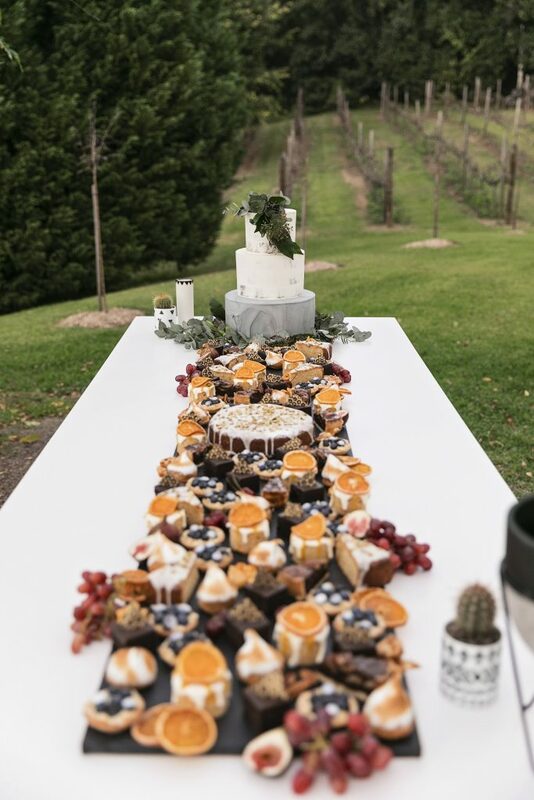 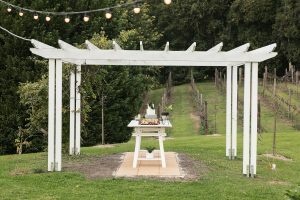 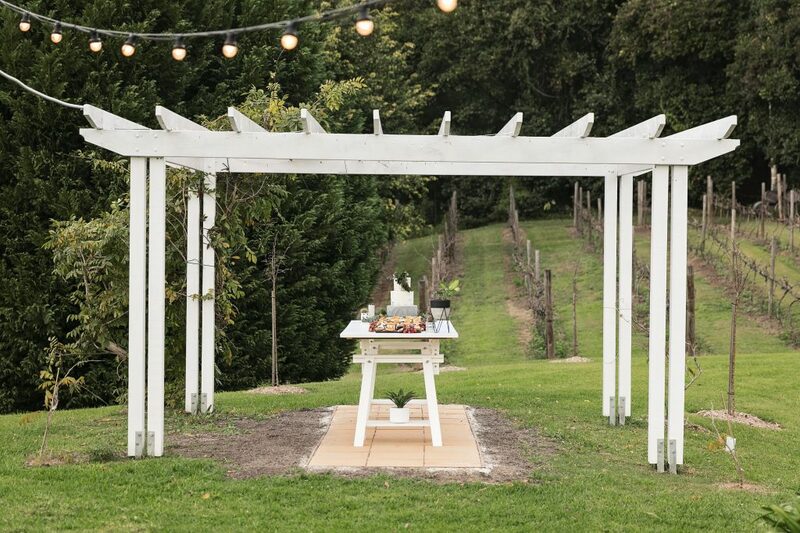 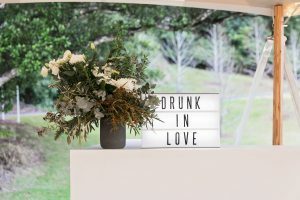 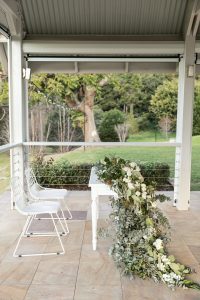 Maleny Manors white arbour featured a decadent grazing dessert bar. 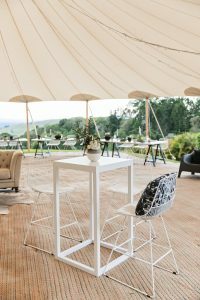 A sleek white trestle table and a long charcoal board formed the basis of the bar. 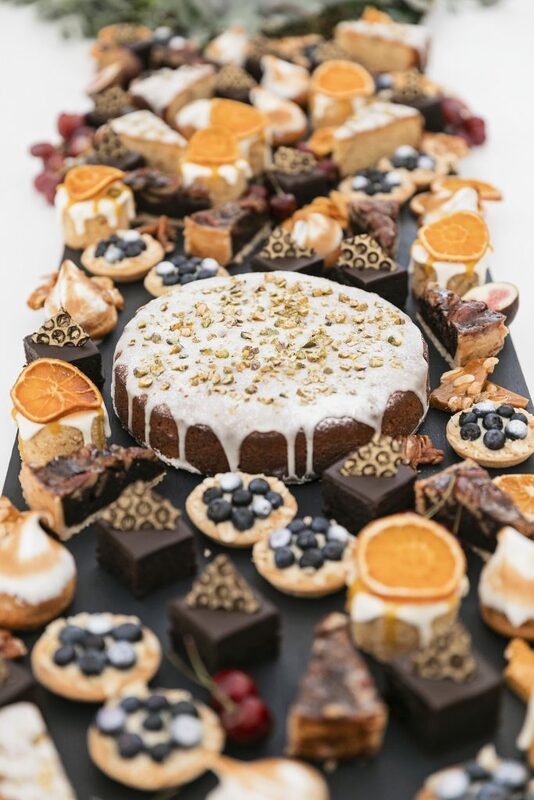 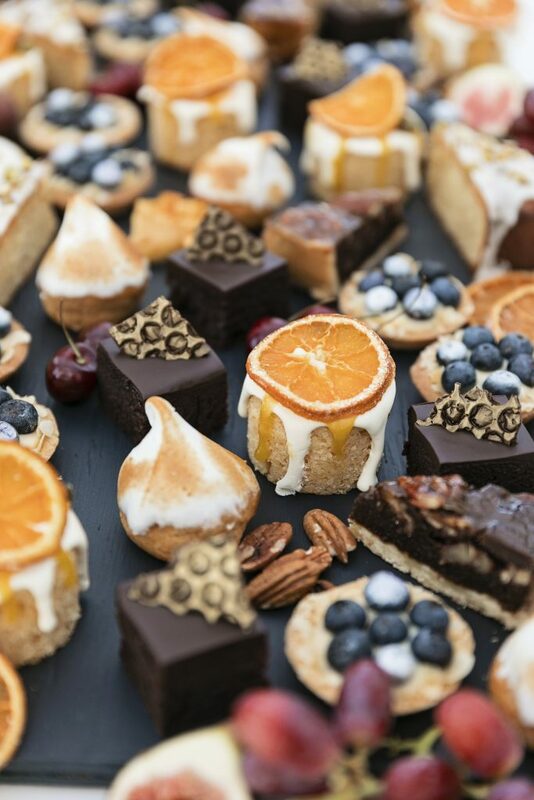 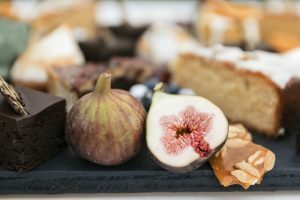 A selection of small desserts inspired by a grazing platter with pops of deep blue, stone greys and fruity elements covered the board from left to right.